This course provides an introduction to fundamental concepts of distributed systems, and the design principles for building large-scale computational systems. 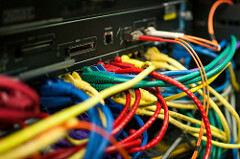 We will study some of the key building blocks – such as synchronization primitives, group communication protocols, and replication techniques – that form the foundation of modern distributed systems, such as cloud-computing platforms or the Internet. We will also look at some real-world examples of distributed systems, such as GFS, MapReduce, Spark, and Dynamo, and we will gain some hands-on experience with building and running distributed systems. CIS 505 is one of the core courses in the MSE and EMBS programs, and its final exam qualifies as one of the four WPE-I exams in the PhD program. Distributed Systems: Principles and Paradigms, 3rd edition (by M. van Steen and A. Tanenbaum; ISBN 978-1543057386). You can get a digital version of this book for free; hardcopies are available, e.g., from Amazon. Additional material will be drawn from selected research publications. Either undergraduate networking or operating systems is required. You should also be comfortable with programming in C/C++. The course will involve three substantial programming assignments, a group project, a midterm, and a final examination. Your letter grade will be based on the programming assignments (30%), the group project (25%), the midterm exam (15%), the final exam (25%), and your participation (5%). We will be using Piazza for all course-related discussions. Homework assignments and project are available for download; you can submit your solution online. If necessary, you can request an extension for your homeworks. Example services of the winning project. 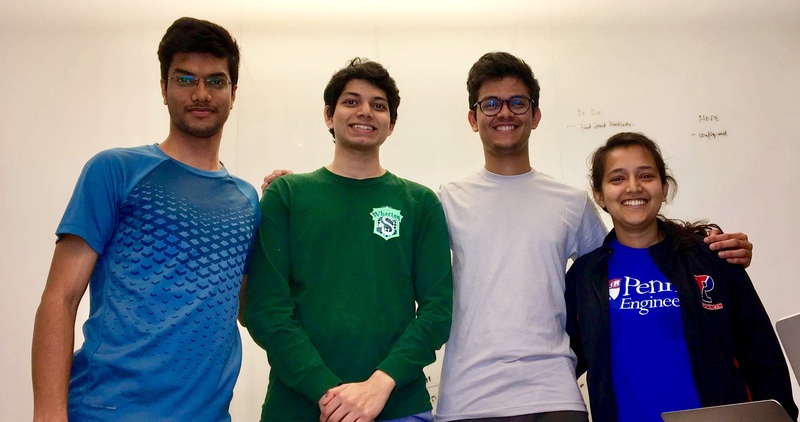 The Spring 2018 PennCloud Award went to Garvit Gupta, Anant Maheshwari, Sahana Vijaya Prasad, and Shiva Suri for the overall best final project. The team presented a solid design of a fault-tolerant cloud platform with strong consistency, qourum-based replication, and efficient checkpointing and recovery. 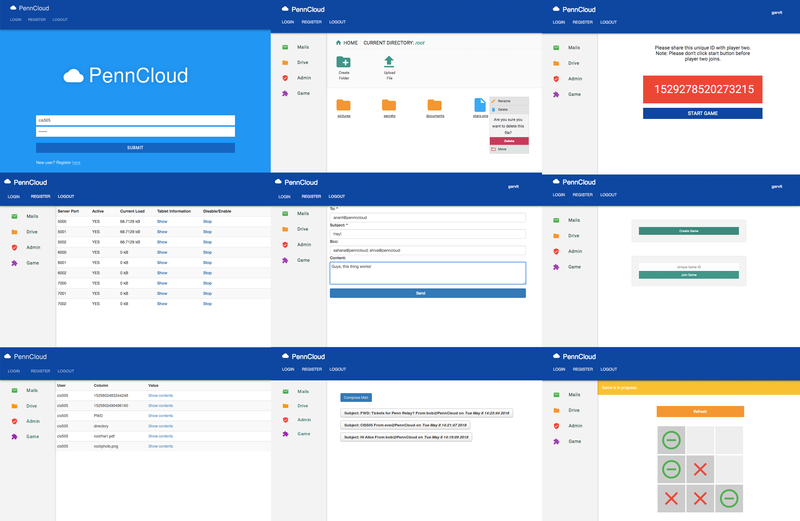 The platform provides a diverse set of services with multiple useful features, such as a webmail service that supports multiple users, mail folders, sorting and labeling; a storage service that supports uploading and downloading of files in any format; and a user-friendly admin console. Besides these core functionalities, the platform also offers users a novel and beautifully-designed tic-tac-toe game that is built on top of group communication. You can read more about winners and their projects in the CIS505 Hall of Fame.